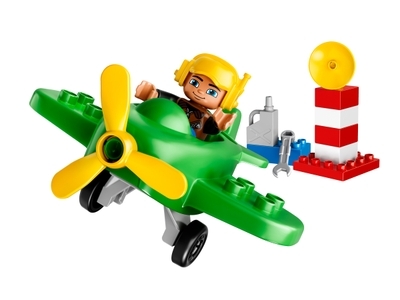 The Little Plane (10808) Lego set is no longer directly available from the sites below. However, 3rd party partners of these sites might still have the set available. Alternate description Go flying in this Little Plane with turning propeller, but first use the fuel can to fill up and the tool to check everything is working properly.